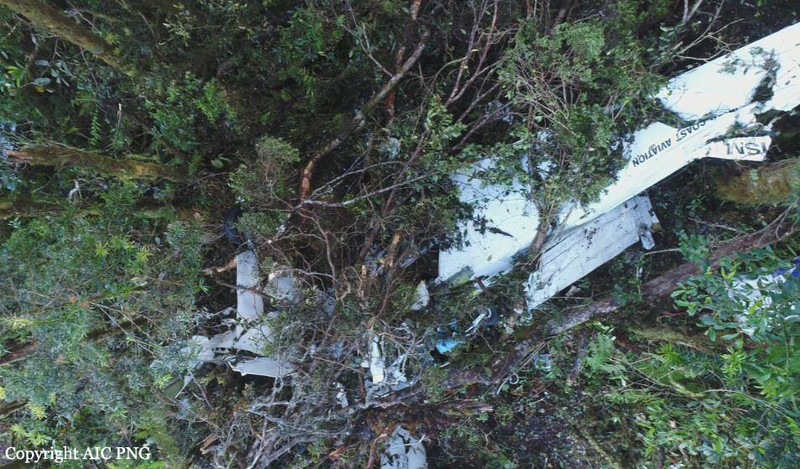 While cruising at an altitude of 9,500 feet in adverse weather conditions, the twin engine aircraft struck trees and crashed on the slope of a mountain located in the Saidor Gap, half way from Lae-Nadzab Airport to Derim. Immediately after the crash, the pilot was able to call for help and gave his position. Unfortunately, due to poor weather conditions and the difficulties to reach the crash site, it was not possible for the rescuers to intervene before December 26. Three days after the accident, as the weather conditions improved, the rescuers eventually reached the crash site but it was reported that the pilot died from his injuries.